We thought it would be a good idea to showcase some of our Exclusives. These firearms are Davidson's Exclusives, which are exclusive to Davidson's and Galleryofguns. With today being September 11, I decided to find something patriotic, and this immediately came to mind. The Howa M1500 Lightning USA is definitely representative of Old Glory. 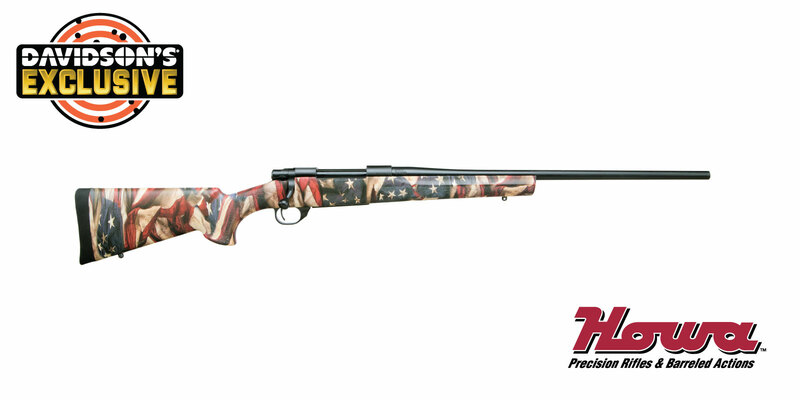 It's synthetic stock is dipped in an American Flag pattern, and It is a beauty! This particular gun is chambered in 6.5 Creedmoor, but it's also available in 243 Win, 270 Win and 308 Win. It also features an adjustable trigger, hinged floorplate and sling swivel studs.